What should be done when you cannot use Samsung Galaxy S5 Wake-Up Command? Samsung's latest Android flagship smartphone, the Galaxy S5 is integrated with a number of security features including the ability to recognize wake-up command to unlock via S Voice, to perform a predefined function, or wake up S Voice in the application. While it indeed is a great feature for such a smartphone, some owners of the Galaxy S5 are not able to use wake-up command for unlocking their device. If you too have encountered the same problem when using your phone's wake-up command, we got here some workarounds for you to try on. 5. Select Screen Lock to get to the screen lock settings. 6. If you have a screen lock set up other than Swipe, provide the requested security unlock information and touch Continue. 7. You will be prompted with a list of options. Select Swipe from the list. 8. Go back to the Home screen and touch Apps this time. 9. Touch to select S Voice under Apps. 10. Touch Menu to proceed. 12. Put a check mark next to Wake Up in lock screen option. 13. Touch Set Wake-Up command to record a custom wake-up command for your device. 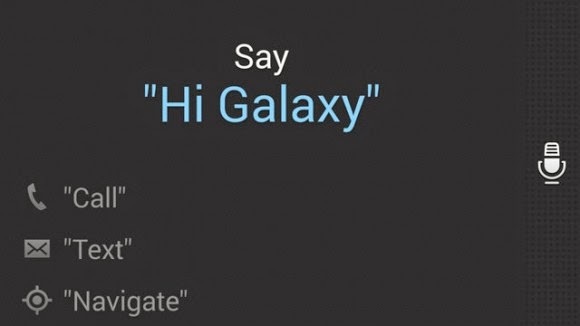 Your Galaxy S5 handset uses the phrase "Hi, Galaxy" as the default wake-up command. 14. To record a new word or phrase, touch Wake Up S Voice. When you are recording a new word or phrase, you will be required to repeat the command four times. The wake-up command only becomes available when the Swipe screen lock is selected on your device. If the phone does not recognize any of the four attempts, you will be prompted with a message to start over and repeat the word or phrase you are trying to set up as your phone's wake-up command. Once done, skip to the next step. 16. Select from the available list of functions. You will be required to record a new word or phrase for the function. You will be given a total of four functions in which you can set a task. When you are in the S Voice application, follow these steps to enable the wake-up command on your phone. 2. Touch to select S Voice. 5. Put a check mark next to the Wake up command option. 6. Touch Set wake-up command to record a custom wake-up command. 7. Say your wake-up command set to wake up S Voice. 8. Wait for the beep and say a command to enable the feature. 9. Once recorded successfully, touch Wake-Up S Voice or any of the wake-up functions to Listen to my voice, Change function, Change command or Reset. 1. Check the microphone and ensure it is free of any obstructions like a case or cover. 2. As recommended, limit your new wake-up command to 3-5 syllables and maintain a constant pitch. 3. When recording a new voice command, hold the phone around 11 inches to 20 inches away from your face. 4. Speak the words clearly and in a concise tone. 5. When recording a new command, do it in a place with little to no background or ambient noise. Again, please note that the wake-up command will only function if you are in the S Voice app or in lock screen.